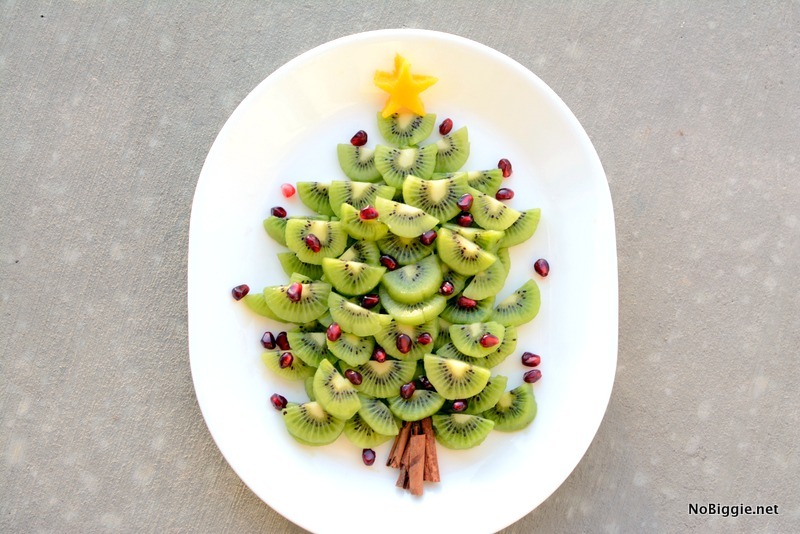 Make a fruit tray into the shape of a Christmas Tree for your next party! We hosted family over the weekend, and this little fresh fruit Christmas Tree was a darling addition to all the food. This is our first year in our new home, and because it’s all decked for Christmas, I wanted to welcome friends and family over while it’s up. Do you feel the same way? You go to all the efforts of decorating…and Christmas Decor is on a whole new level in comparison to all the other holidays…so you want to make it all worth the effort! Kiwi Fruit, Pomegranate and Mangos are all in season right now, and they’re the star of the show for this easy fruit plate. We made a little video to show how easy it comes together. The trick is to buy the fruit in advance so you can make sure it’s ripe when you need it. I bought a big container of kiwis, and they were all underripe. If this happens to you. You can always put them in a brown paper bag over night…along with another fruit like bananas or an apple. The gases of the other fruits will help speed up the ripening of the kiwi. I think this works for mango too. I also read that you can try microwaving the kiwis for a few seconds, but I was nervous to try that one. What do you do to speed up the ripening of fruit. I guess the best way is to buy in advance and allow time for it to ripen at home before you need them. Peel and slice all the fruits, watch the video above to see how to assemble, keep chilled in your fridge wrapped in plastic wrap until ready to serve. Super easy and Super Festive! 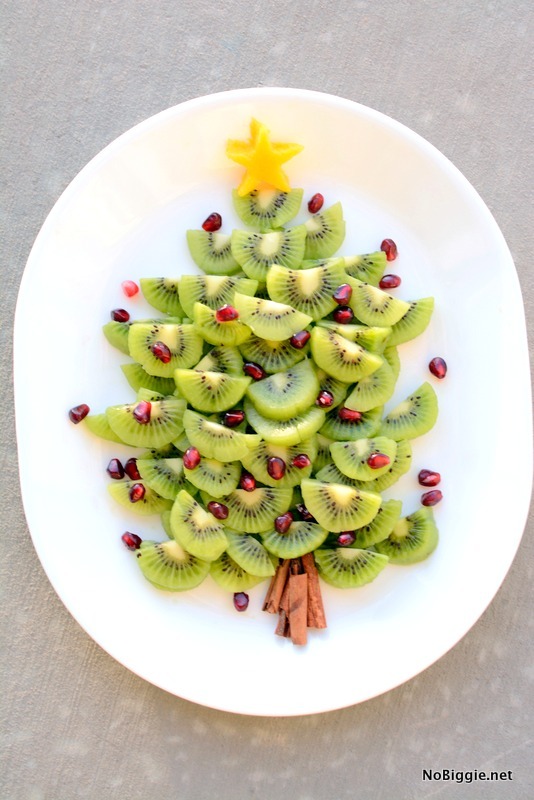 Here’s more healthy holiday snack ideas.